I recently got back from a short trip in Belgium. Before returning, I got to spend an afternoon in Brussels, the de facto capital of the European Union. 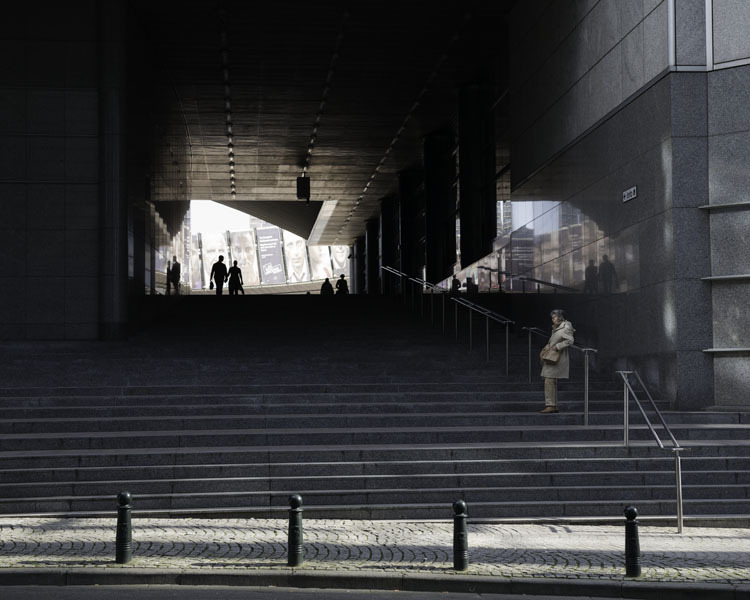 I decided to do a short walk circumnavigating The Espace Léopold complex of buildings that house the European Parliament. These photographs were taken during that walk. Every now and then, I come across a book that makes me think: This is right up my street (no pun intended). 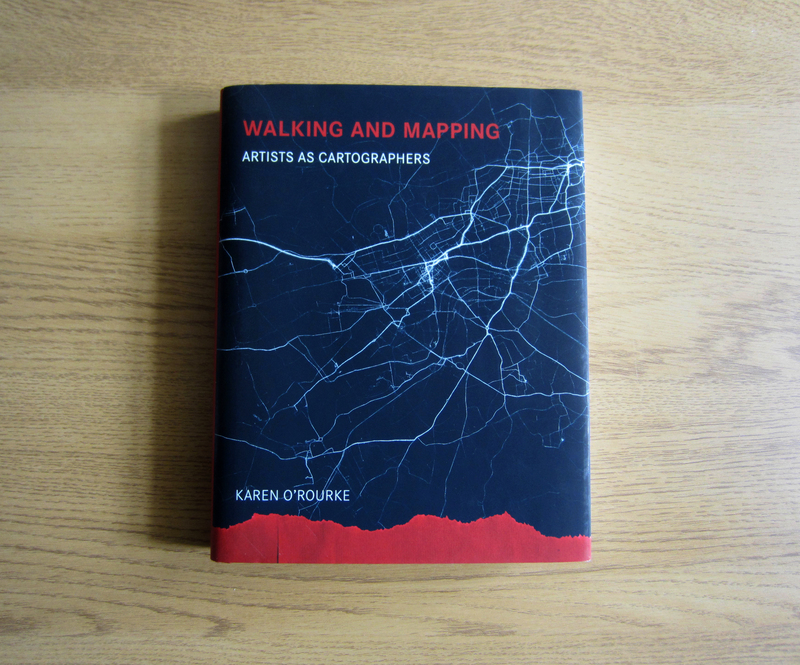 Walking and Mapping: Artists as Cartographers (2013) by Karen O’Rourke is such a book. Karen O’Rourke is an artist and writer whose theoretical research on contemporary art has led to a number of articles and publications, this is one of them. 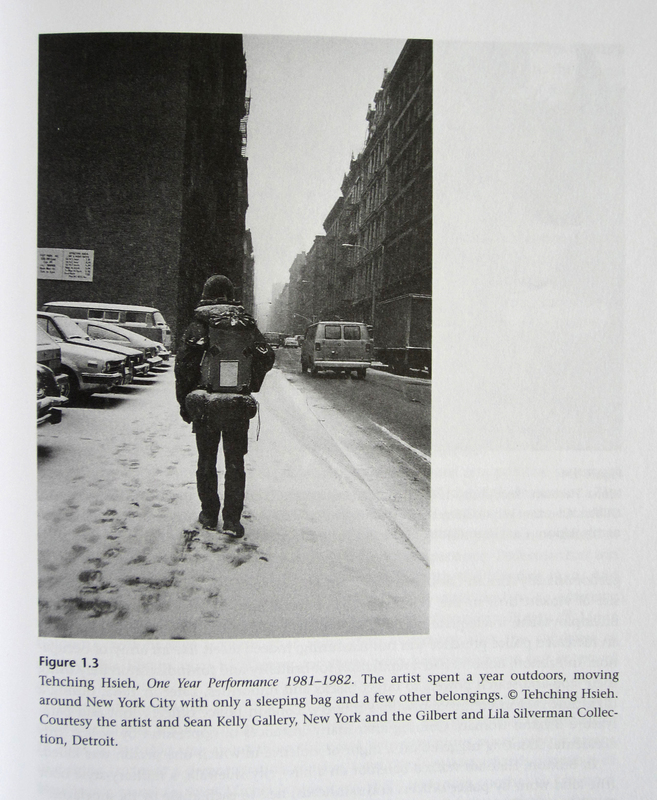 Over its 328 pages, the book is a deeply engaging look at the modern state of walking, art and cartography. 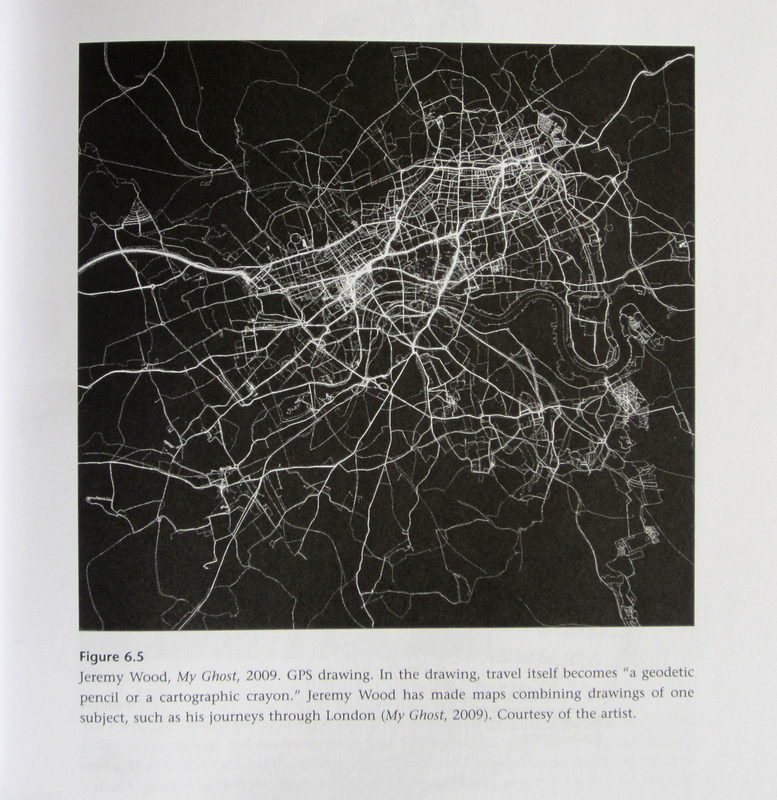 The book pays particular attention to experimental mapping techniques, online databases and a vast array of other modern technological devices made to map our way through the world. 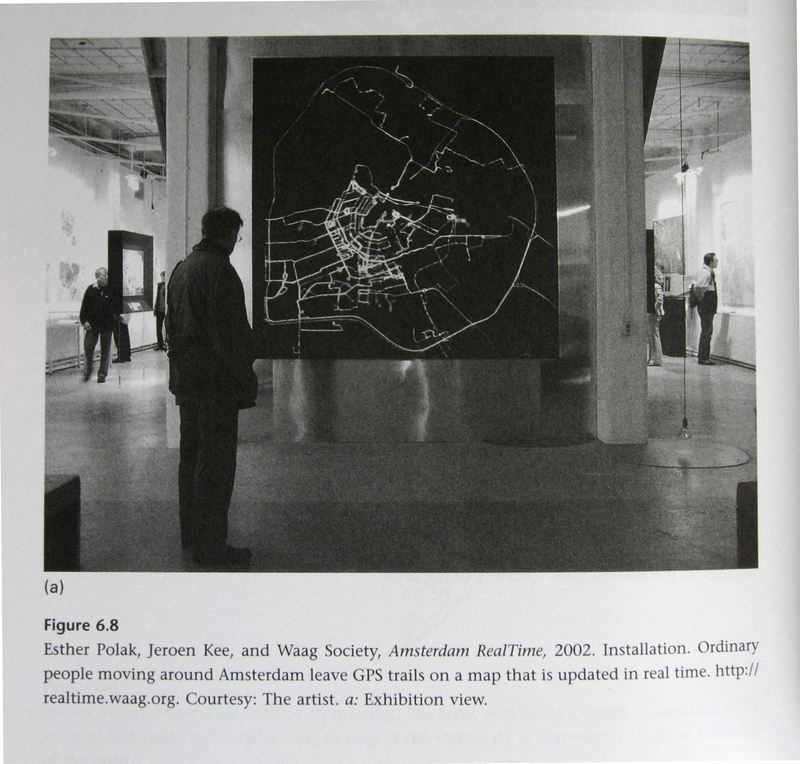 O’Rourke notes how “mapping is our way to locate ourselves in the world”, and throughout the course of the book, she manages to create her own chronological map of walking art and cartography. 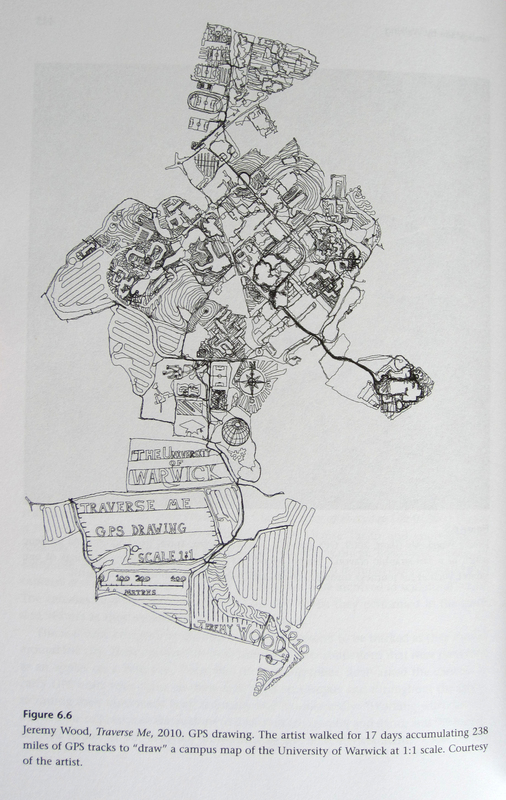 The first part of the book begins with the origins of contemporary walking practices in the 20th century by looking at the likes of Guy Debord, and how practitioners of psychogeography utilised cartography. 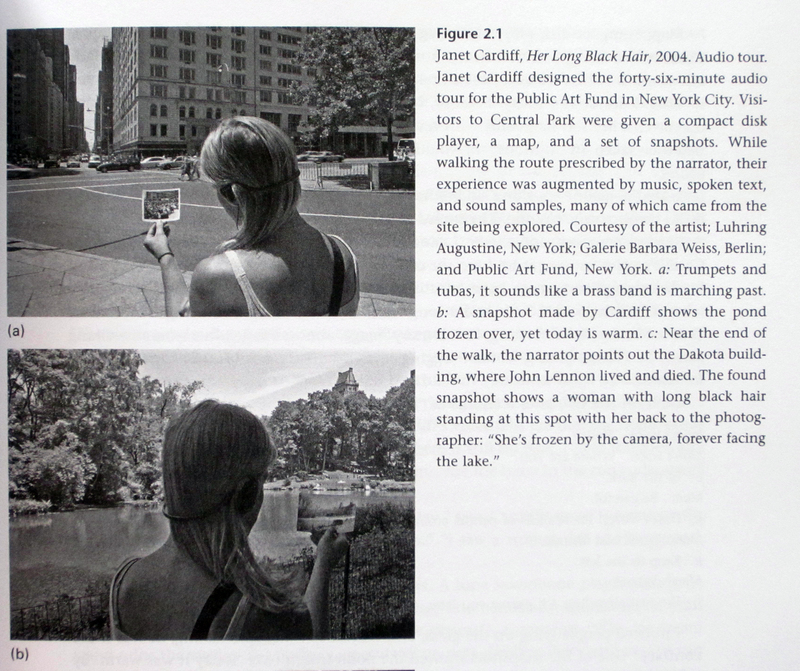 The later parts of the book then take us into unfamiliar territory, examining the relationship between walking and modern technological mapping techniques. By presenting us with numerous artists’ experiments, some of which the writer actually participates in, we are shown how this practice continues to evolve today. 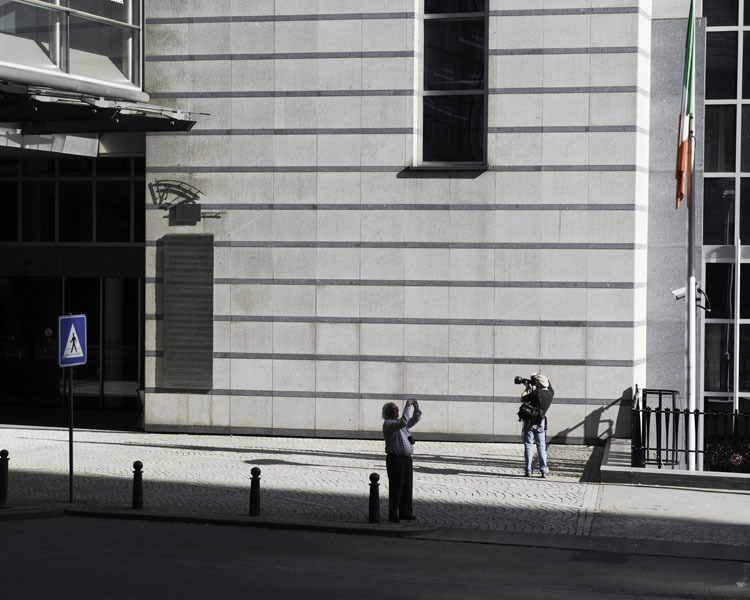 These experiments involve mental mapping, surveillance mapping, emotional GPS and datascapes. Although confusing at first, these unusual terms are well explained and begin to make sense throughout the course of the book. Admittedly, at times I got lost and found myself re-reading chapters until I managed to grasp some of the more complex methods. What I find really valuable with this book is the way it collates many of these ephemeral works into one volume. Walking art often takes the form of a performance piece, a fleeting experiment played out to express or communicate a point of view. Often with time, some of these works become forgotten or even lost. Here, however, O’Rourke manages to bring them together and give them a new life by re-contextualising them into her own history of events. Thankfully, many of the artists had used photography and moving image to document these performances, enabling us to get a visual sense of each piece. For me, it is fascinating to discover so many unfamiliar works and to see how they have each developed and built upon those that came previously. The book comes fully illustrated in black and white with many film stills, photographs, diagrams and maps that assist the reader with understanding each project. The book also collates a large and varied set of practices that expose the ever growing interest in this area. Until now, I have never come across a book that charts walking and cartography so thoroughly, making it really quite unique. I can’t help but feel that it’s bound to become a valuable academic text used by those that share an interest in walking or cartography. Fascinating, erudite and remarkably well researched, Walking and Mapping is for me, an essential addition to the increasingly prominent study of artistic walking. 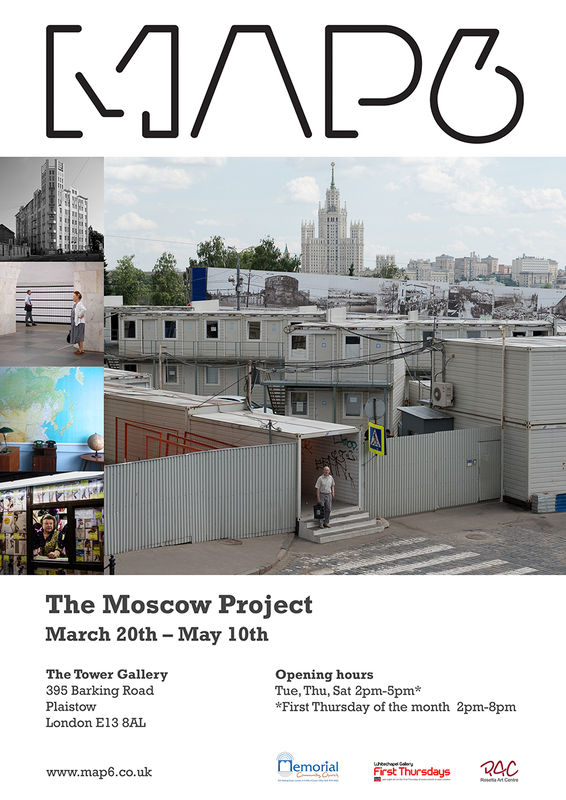 The photography collective MAP6 is pleased to announce the opening of The Moscow Project, a new exhibition at The Tower Gallery in London. 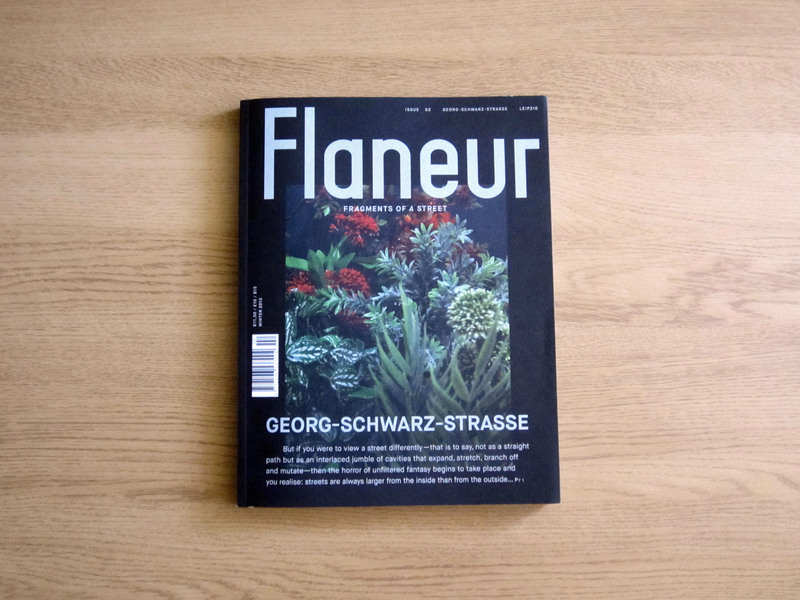 And so reads the quote featured on the cover of issue 2, the winter 2013 edition of Flaneur magazine. I was recently introduced to this wonderful publication by fellow MAP6 member Mitch Karunaratne. Each issue promises to explore a single street, where a selection of artists interpret the area in a variety of different media. This issue explores Georg-Schwarz-Strasse in Leipzig. 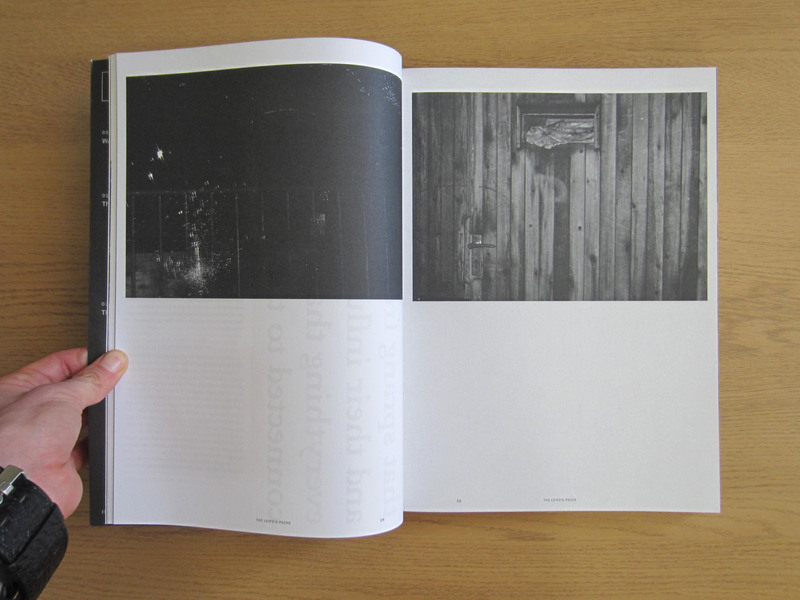 The magazine is crammed with features that employ photographs, writing, drawings and digital art. 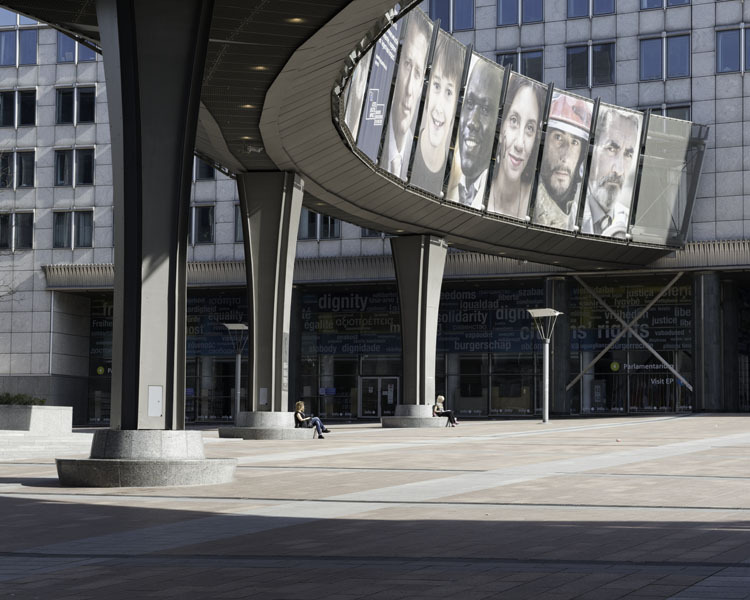 In the written piece The Plakateers of Georg-Schwarz-Strasse, Giulia Pines follows in the tracks of those responsible for putting up posters along the street during the early hours. 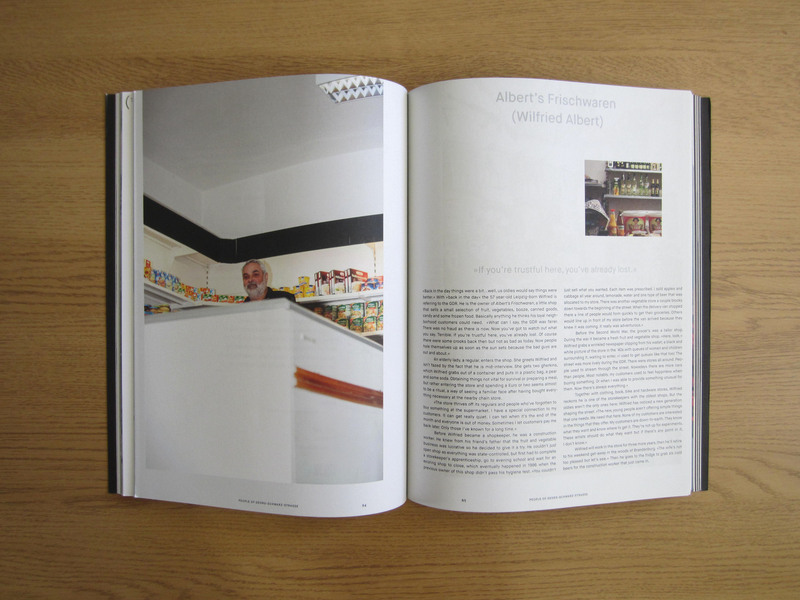 The stories of three shopkeepers are told with photographs and written words by Malte Seidel and Grashina Gabelmann in Shop Life. There are even four operas composed by Fabian Saul, that were inspired by the city, where the sheet music has been beautifully laid out amongst colour photographs. My favourite piece however is Walking Intervention/Still no Empyre. It is a collaborative piece with words from Maruan Paschen and photographs from Michael Hoepfner. 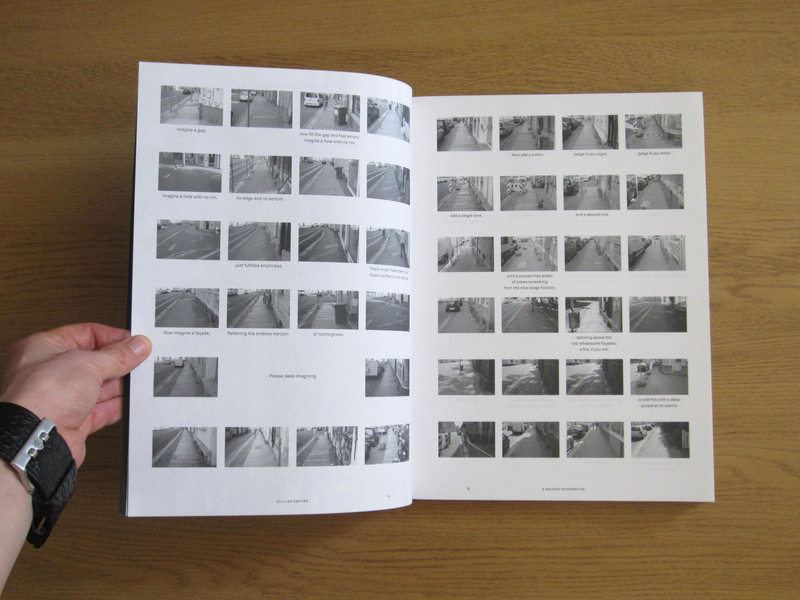 Over 9 pages, we are shown numerous landscape photographs of a walk along the street. All of the photographs are in black and white and taken from a similar downward facing angle. The photographs have few remarkable details and seem to have been taken at regular intervals throughout the walk. We are shown the road works, paving, scaffolding and other obstacles the photographer has to navigate in order to reach the end of the street. 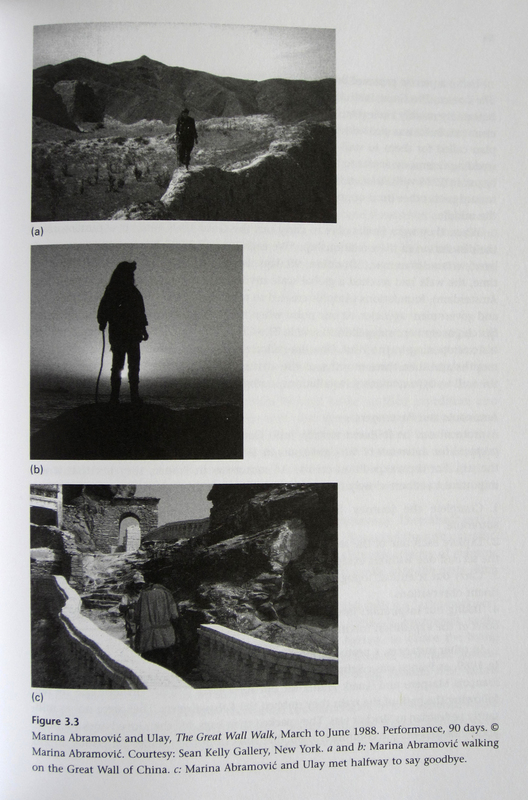 The photographs seem to form a narrative of the walk from beginning to end, but at various intervals on the page there are blank spaces. They make us curious to know what happened during these unseen moments and question why there is no photograph. 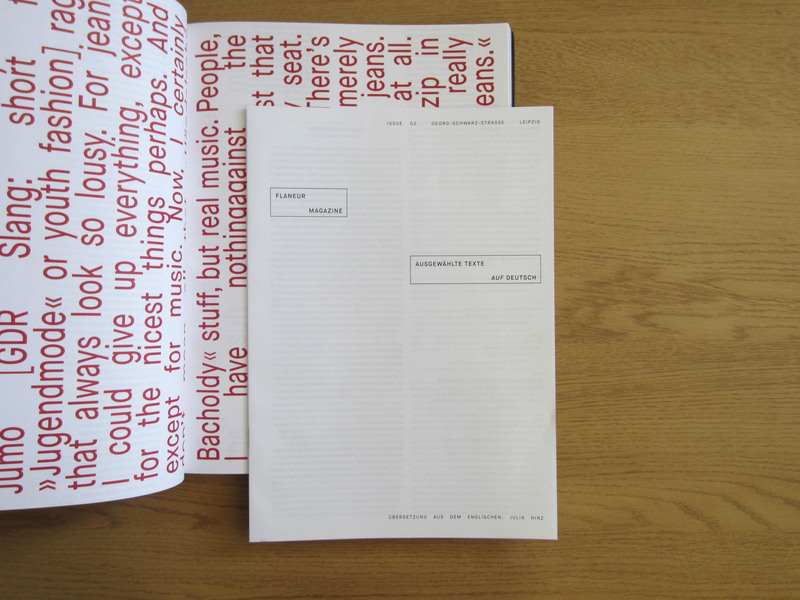 What works particularly well is the interplay between text and imagery. Placed beneath seemingly random images are sentences expressing the writer’s thoughts, perhaps captured at the same time as the accompanying image. This mix of text and imagery provokes us to make connections between the two. The artists also seem to be making some sort of statement about the power of the imagination, amidst the mundanity of the black and white images and the colourfulness of the text. The piece is not only about the physical walk along the Georg-Schwarz-Strasse but also about how the process of walking and thinking becomes its own journey. Looking through the magazine is an intense but exciting experience and it’s easy to see the amount of thought that has gone into the layout, presentation, and choice of paper. The magazine also comes with fold outs, pull outs and double leaved pages that add a sense of variety to the reading experience. 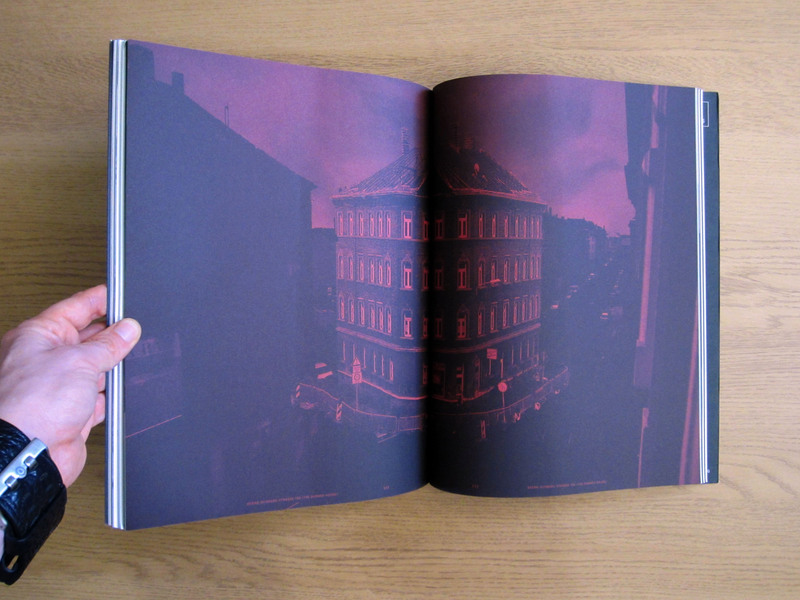 I particularly like the purple tinted cityscapes that run throughout the publication, punctuating and contextualising the work. Streets for most of us are simply transitory spaces that have the single purpose of enabling passage. But Flaneur encourages readers to take a closer look at these places and demonstrates that amongst these streets that we walk along everyday, there are many extraordinary stories waiting to be be discovered. 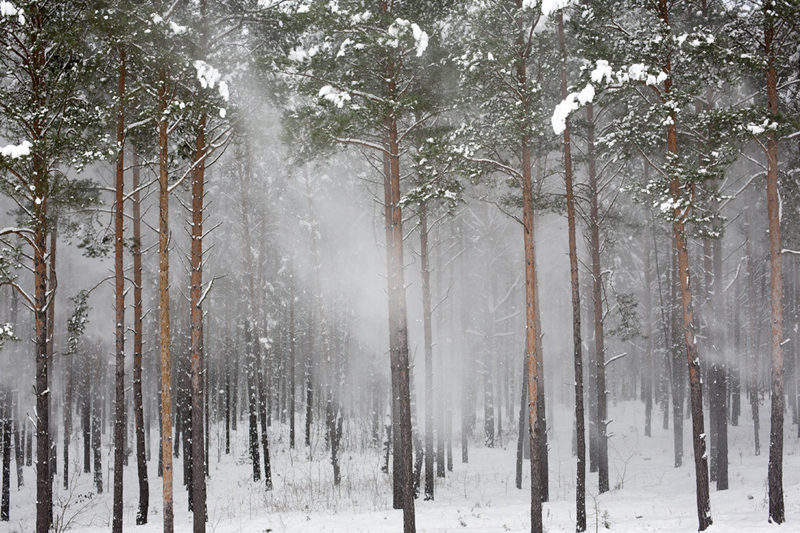 The next issue, spring-summer, will be in Montreal. You can find out more information and pre-order it here. 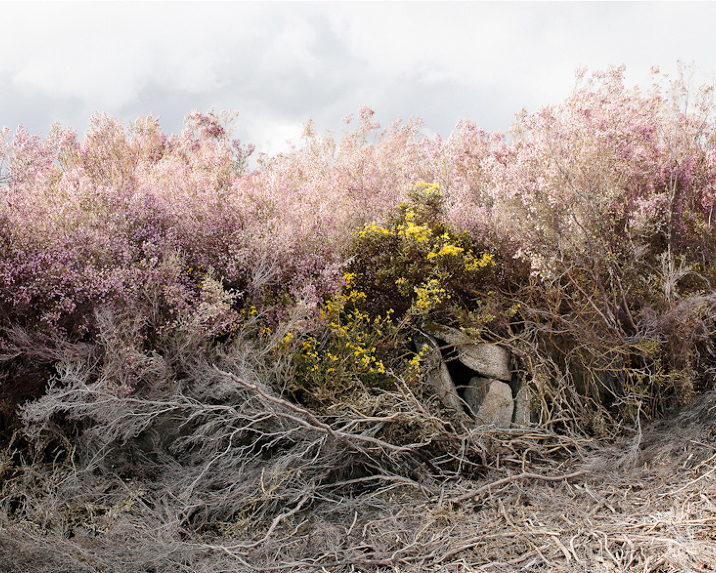 Two solo exhibitions by Paul Gaffney and Michal Iwanowski, two artists that make work about the landscape during long walks.